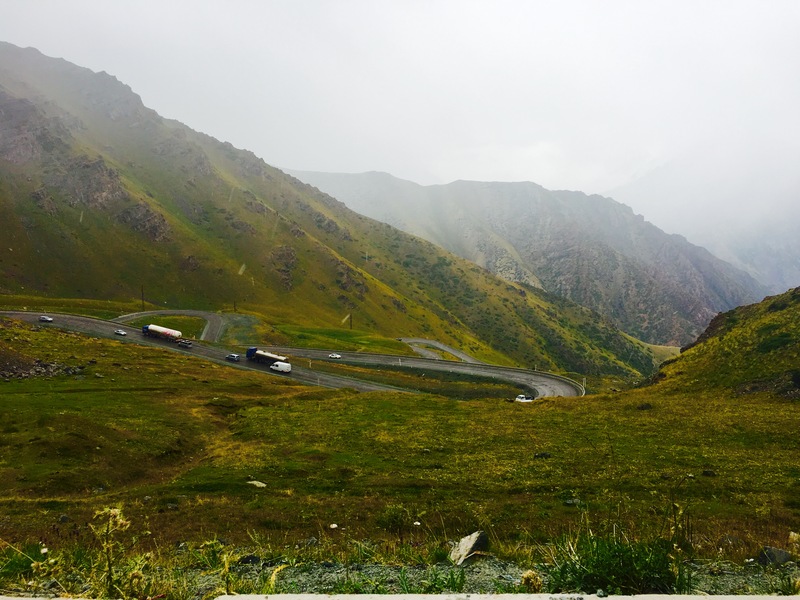 The drive from Osh to Bishkek in Northern Kyrgyzstan took longer than planned. 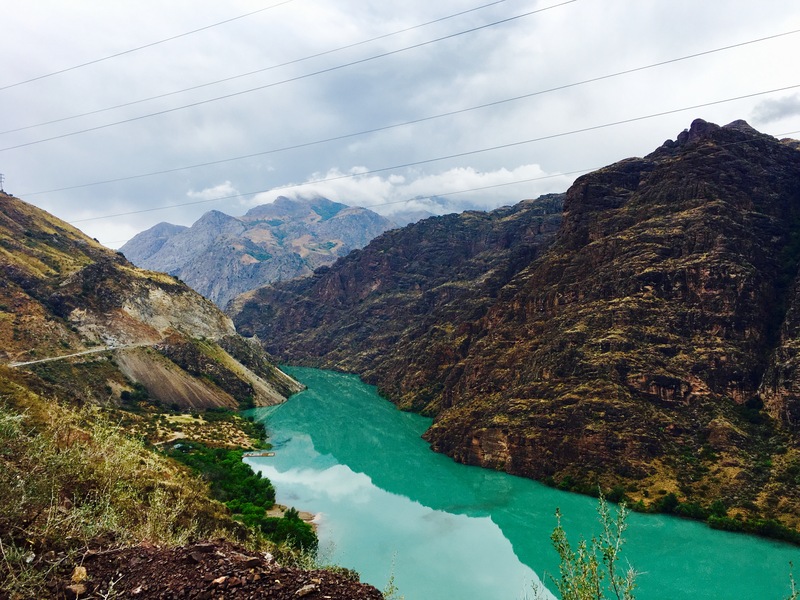 There were pretty green mountains, turquoise rivers, yurts, some rain (the first drops we had seen since leaving the UK! ), and then there was the “tunnel of death”. The Too-Ashuu tunnel (or the “tunnel of death”) has a reputation for extremely poor ventilation. When combined with its 2.6km length and lower levels of oxygen (it’s up a 3,000m high mountain), this makes for a nasty mix. In 2001 several people died in the tunnel when a broken down car caused a tail back flooding the tunnel with carbon monoxide. Thankfully Shane kept this nugget of information to himself until we had safely made it out the other side, so I had no idea we were driving through a death trap. We arrived in Bishkek after 14 hours of driving. The sun was just starting to set as we drove into the bustling city. Fortunately I had pre-booked us a hostel. Unfortunately we couldn’t find it. After two extra hours of driving around in the dark, we gave up. We spotted a sign for a hotel and knocked on the door. Thankfully they had a room for us, and parking for Martha, so we checked in and grabbed something to eat at the local diner. Fully fed and ready for bed, we both slept like babies. 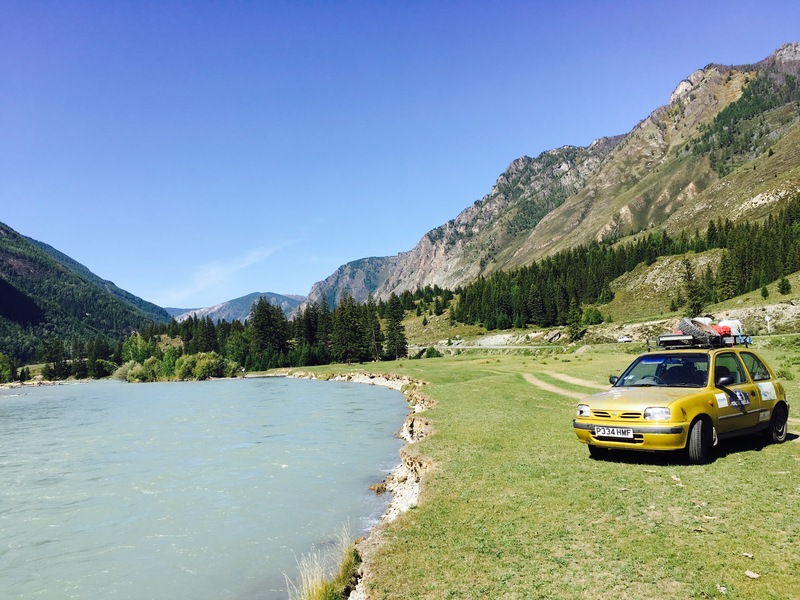 The next day we pressed on to Almaty in Kazakhstan for some much needed rest and a bit of sight seeing. 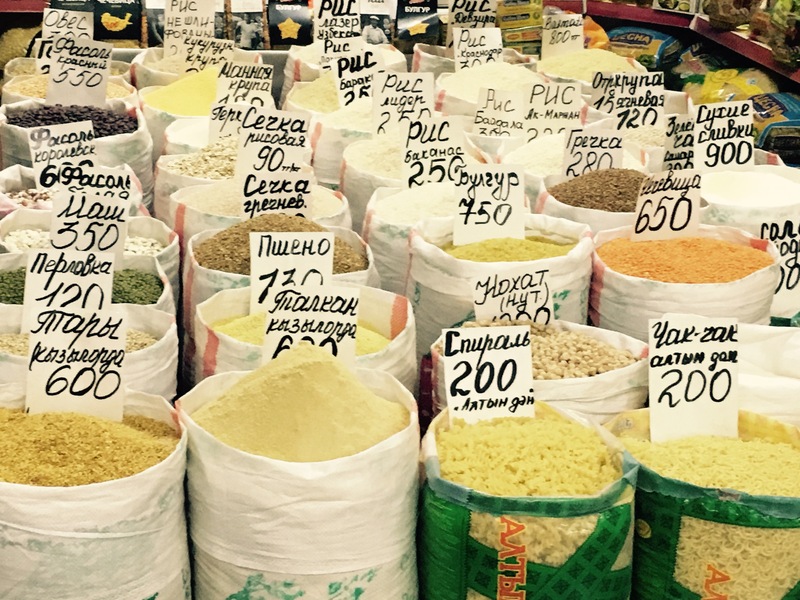 Almaty felt like a world away from our experience of Central Asia so far. The streets were covered with coffee shops. We could use credit cards to pay for things. Wifi was plentiful. They even had McDonalds. We made full use of the available amenities, stocking up on cash, fuel and food, and had a wander around the Central Park and the colourful Ascension Cathedral. We also walked around the “Green Bazaar” (it was indeed green), took a trip on the very quiet, clean and efficient metro and visited the Independence Monument. Almaty was a very laid back, leafy city. It felt like a different planet to the wild Pamir landscape of Tajikistan and Kyrgyzstan, and to the frenetic cities and desert of Uzbekistan. It was also completely different to the version of Kazakhstan portrayed in the film ‘Borat’, which probably shouldn’t come as a surprise. The rest of Kazakhstan, however, was a bit different. 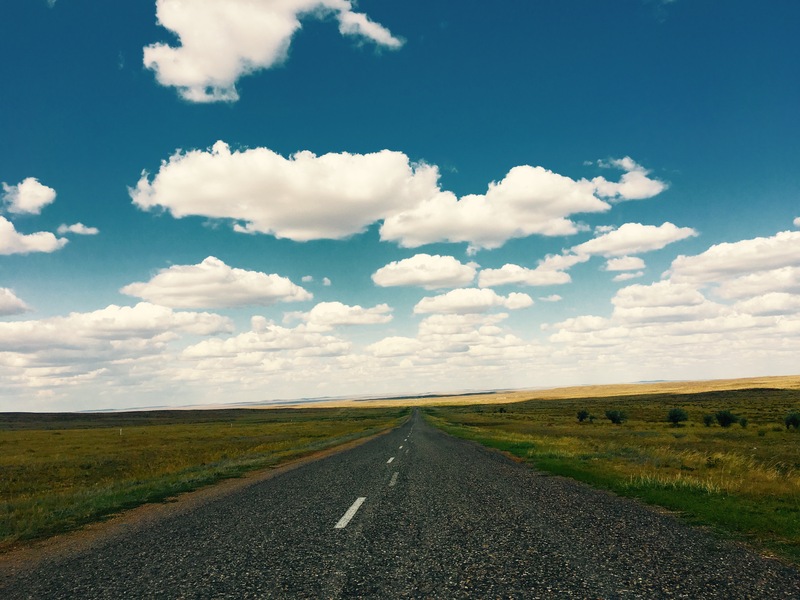 It took us three days of driving through Kazakhstan to reach Barnaul in Russia, and over those three days we saw pretty much nothing. Not because we weren’t looking, but because it turns out that most of Kazakhstan is very flat and very empty. We did spot some golden eagles, which was exciting, but other than that we looked at the same view for three days, and camped in different (but very similar) spots on the side of the road. Kazakhstan is huge; it is the ninth largest country in the world, but has a population of just 17.8 million people, and the landscape is unchanging for hundreds of miles. The only place of note that we passed through on our journey was a town called Semey, which had a sad story. In 1949 the Soviet atomic bomb programme selected a site on the steppe 150km west of the city as the location for its weapons testing. The Soviet Union carried out hundreds of nuclear tests for many years, and the results have not been good. The people of Semey suffer from high rates of cancer and birth defects. You can even visit the anatomical museum in Semey, which apparently has a gruesome collection of babies and embryos with horrible deformities caused by the nuclear radiation. We didn’t pay the weird babies a visit – the museum was closed by the time we arrived and Shane was feeling a little squeamish about such a place anyway. 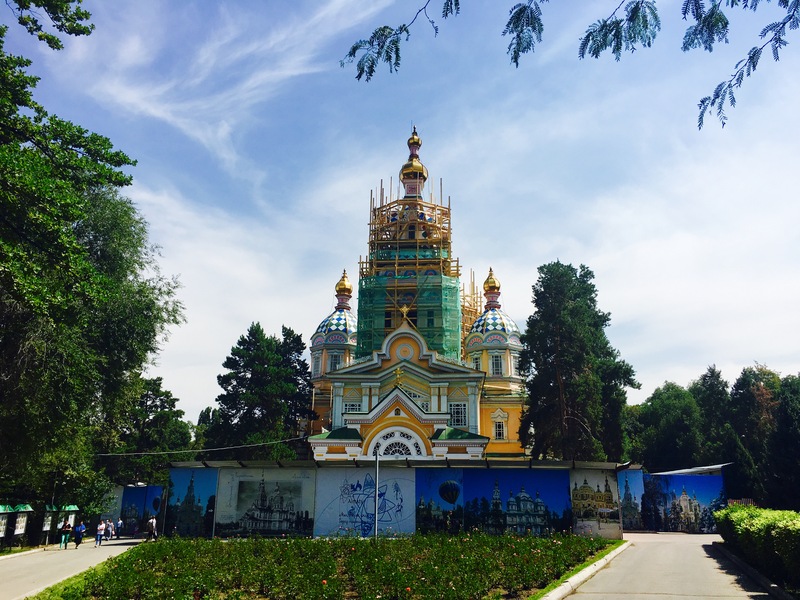 Despite all of this, Semey seemed to be a lively city in the middle of absolutely nowhere. Maybe we were just pleased to see something other than the empty plains of Kazakhstan for a change, but we had a nice time. After another night camping in the middle of nowhere, we crossed the border into Russia and drove up to Barnaul in South Western Siberia. 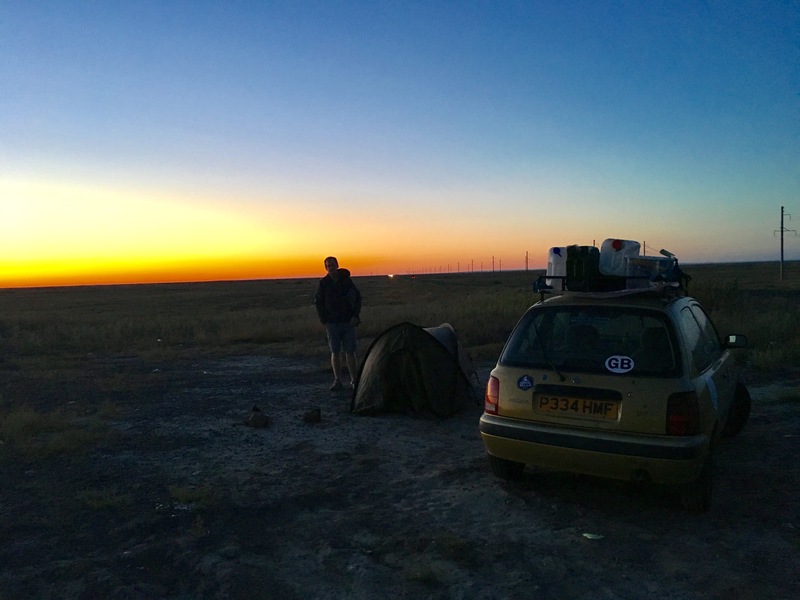 That evening we met up with a four-person strong Mongol Rally team called Kiwis Crossing (made up of Taygen, Debbie, Mike and Nick, and their Toyota Yaris nicknamed ‘Knobby’ after one of their sponsors), and made plans to drive together to the Mongolian border and beyond. As we drove from Barnaul to the Mongolian border, the scenery became very dramatic. 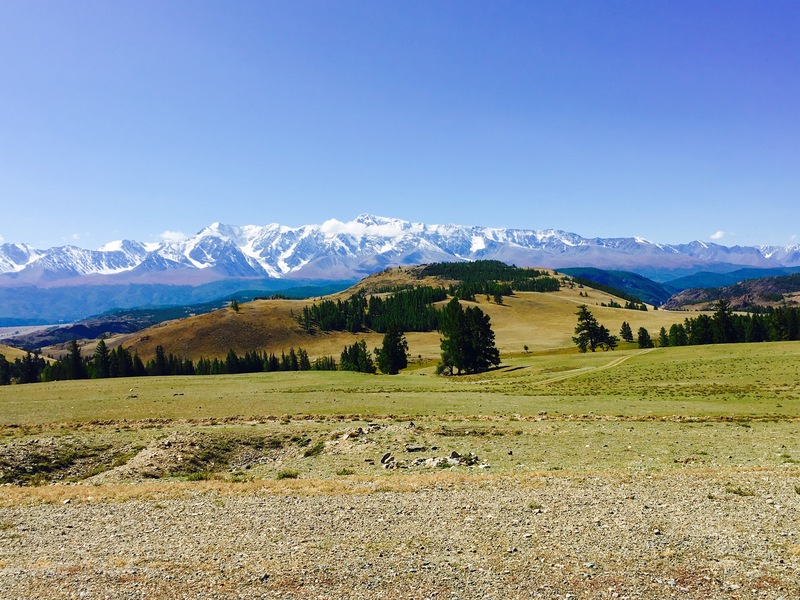 We were driving through the Altai region of Siberia, and the area was covered with forests, mountains, clouds and lakes. 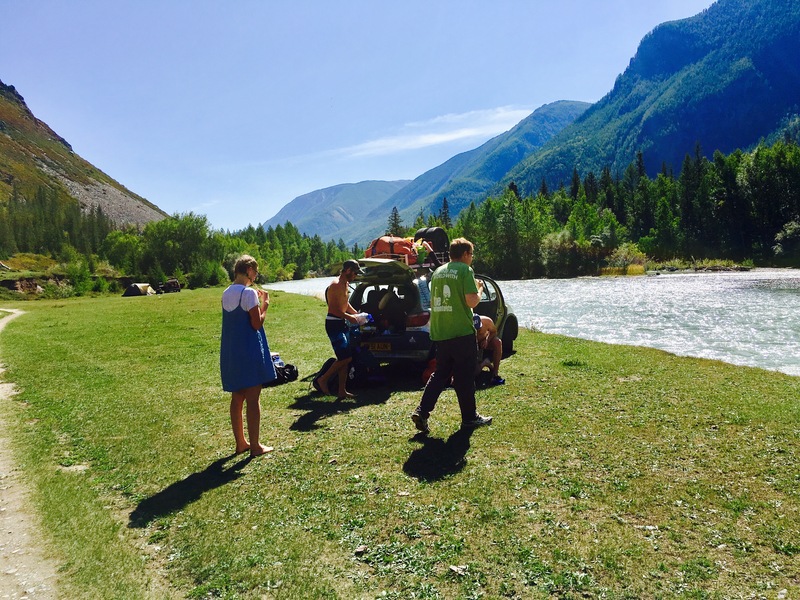 The region is famous for activities and sports such as white water rafting, and we could see why. After one night camping with the Kiwis on top of a hill, we made it to the border crossing with Mongolia. As we approached the border, we were feeling apprehensive. We had heard the roads in Mongolia were worse than anything we had experienced on the rally so far. We knew there were large sections of the country we needed to drive through where there were no roads at all. We heard that previously perfect rally cars had been destroyed in Mongolia. We made a plan to stay with our new Kiwi friends all the way to Ulaanbaatar on the other side of the country. It was going to take us a week to get through Mongolia, and we expected this week to be the most challenging of all.